Timid Fingers: What is writing to you? 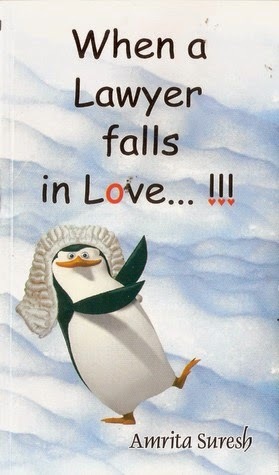 Timid Fingers: Your first book ‘When a lawyer falls in love…’ was written nine years back. Any particular reason for the huge gap or your searching for the write plot? 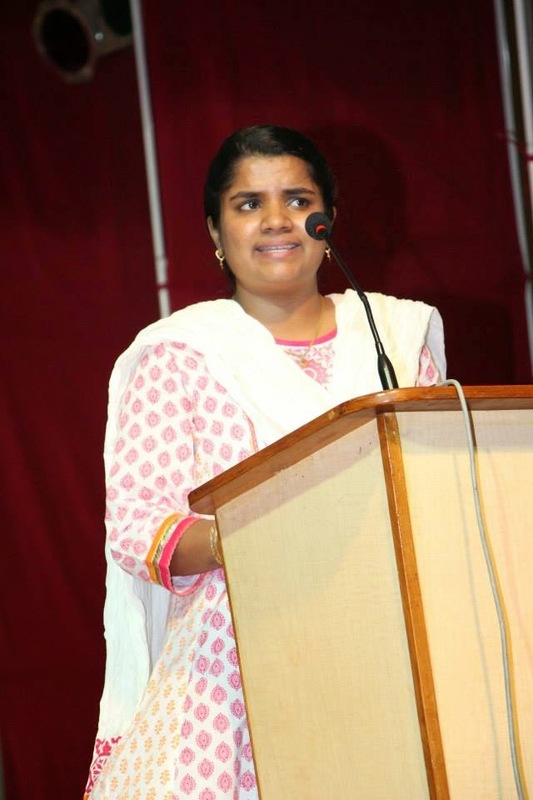 Amrita Suresh: It might seem like a long gap between my books, yet in the interim period I had begun work on 7 different novels, so that alone shows that I wasn't particularly wasting time. Actually I believe with all my heart that the creative process is something that comes from a higher realm and many a time one has very little control over it. I used to be very scared of failure yet these 9 years have taught me that it's the different shades that go onto making the beautiful painting called life. At 21, I saw the world as only black and white, now I recognize the grey. It is this maturity, hopefully that will get translated in my writing. TF: How tough it is to match up to the readers expectations after the success of your previous book? Amrita: Like I said, I used to be terrified of failure, yet now I have come to accept it as a very important learning tool. Raj Kumar Hirani took 5 years after his last release to give us PK and one can only imagine the pressure he was under! This whole pressure and fear of failure can be quite crippling. It took me 9 years to get over this fear! Did you know that after 'To kill a mocking bird' Harper Lee's second novel lay in the draft stage for 53 years?!! It's only recently I heard, her second book is set for release. In these 9 years, I experienced love, failed job interviews, heartbreak, marriage, difficult pregnancy, childbirth, motherhood, losing a parent....and then in the midst of all this you gain a perspective that is far deeper than narrow definitions of success or failure. Life is indeed, the finest teacher there can be, even when it comes to improving your writing skills which are essentially a reflection of the way one thinks. TF: Your title of the two books and the presence of penguin on the cover is hugely loved by the readers, any particular intention behind this? Amrita: Did you know, that a male penguin searches an entire beach to find the perfect pebble to gift to his lady love?! I think that's one of the cutest things I have ever read! 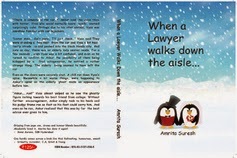 Actually, since both my books deal with lawyers and since these cute penguins have been blessed with such a cute dress code, I felt I ought to include them! Penguins look like cute lawyers, all dressed up with nowhere to go! TF: Any interesting incident you want to share with your readers which you have witnessed while making this book, because behind the scenes are always interesting for the audience. Amrita: I have been told that the end of the book is abrupt, yet as funny as this sounds, yet a bulk of the book was written in the final month of my pregnancy and I was determined to wrap up my novel before my son arrived on Sept 14! Ask any lady who has given birth and she will tell you that the final month just before the baby arrives is when one feels the most physically uncomfortable. Most women suffer from insomnia at this time and I for one, didn't sleep a wink at night during my final month and instead I spent those dark cold nights penning this paranormal novel. TF: In your view, which were the toughest part to write in ‘When a lawyer walks down the aisle…’? TF: I have read somewhere that you prefer shelf publishing houses than traditional ones. All most all big names in the publishing industry are traditional publishers. Do you really thing a debut author should choose a shelf publishing house over a traditional one? Amrita: Now this is certainly my favorite question! See ya, it's brilliant if a traditional publishing house takes on the full onus of promoting one's book at least in the monetary sense, yet this is something that rarely happens. So from the writing to the book publicity, it's all left for the author to do but when it comes to a share in the profits, well now that's a different story! I guess for someone who has never got a book published, the fascination to go through the traditional route is immense and I can completely understand since even I was once a victim to this. Truly getting a traditional publisher is like going through the pain of pregnancy and childbirth and then simply giving away your baby for adoption. TF: What kind of critic reviews you are getting for your second book, any favorite one till date? Amrita: I'm extremely fortunate to get some very positive reviews for the book so perhaps the nine year wait has finally paid off! I particularly liked the reviews by Sharanya/Vanya and this other review posted by Shruti Ringe on this website called Indian nerve.com. I also quite liked the review put up by timid fingers. That review was written from the heart and that's truly the hallmark of good writing! TF: ‘When a lawyer walks down the aisle…’ doesn’t have an acknowledgement page, don’t you have anyone to thank? Amrita: I chose not to have an acknowledgement page since I felt it would be unfair to thank only a select few. Yet if there are two people I would like to thank for being an inspiration, they would be Dr. Sr. Alphonsa, the prinicipal at St. Francis College and Mrs. Karuna Gopal, who was the guest of honour in the very first book launch I had for my book. I was a light headed 20 year old then and it was Karuna ma'am who conducted the book launch with such enthusiasm that I remember it even a decade later! TF: The author bio is also missing so, I would request you tell us something about yourself for your readers. Amrita: A Hatha Yoga teacher, A once faculty member handling business presentations at IIIT, a professional tarot card reader, a Reiki healer and a busy mom to a still more busy toddler! That's my author bio!! TF: When can your readers expect another Lawyer story from you, I hope you are not going take another nine years? Amrita: I have already begun work on my next novel and it's my dream to write a 100 titles before I kick the bucket! Quite a tall order, isn't it?!! TF: Now coming to an end, I want to wish you all the best. I would request you to say a few words for your readers and for the Timid Finger’s blog too. Amrita: Timid fingers! That holds true for all of us I guess! As a writer, one is prone to having timid fingers every now and then so I guess my message to every aspiring writer out there is to just keep at your craft! Reading is as important as writing so timid fingers is a blog that one ought to visit and read since blogs like this help one become a better writer! Honest! Keep up the good work, timid fingers! Author Amrita Suresh does it again!!! Call or Chat? Obviously Chat! !